Hello! 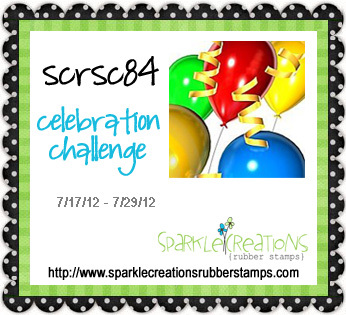 Welcome to week 2 of the current Sparkle Creations Rubber Stamps Challenge (SCRSC84)! 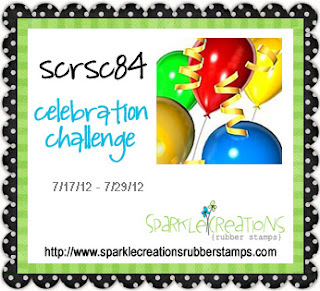 The current challenge is a Celebration Challenge! You have until Sunday, 7/29/12 @ 9 PM PST to play along. All of the challenge details are HERE. I used Festive Rin today. This was my first time inking her up as she was just released this month. 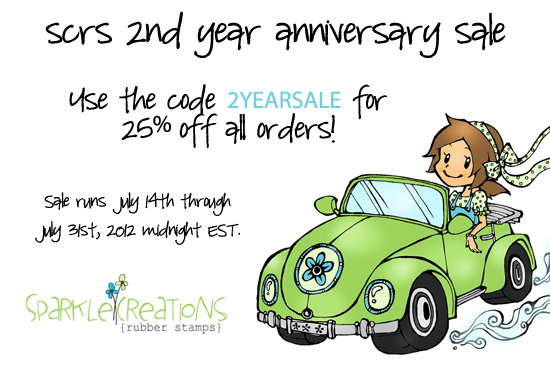 It's still not too late to save 20% off all SCRS stamps! 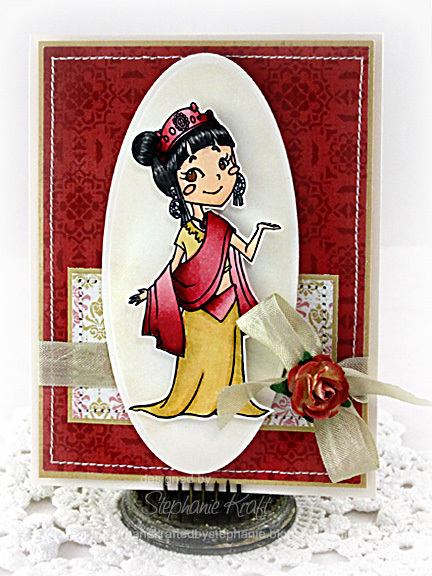 Accessories: Mega Oval Nestabilities (Spellbinders), Markers (Copic), Seam binding, Rose (Wild Orchid Crafts), Foam tape, Thread, Sewing machine.